We are proud to say that we have a diverse range of talks again this year, in our HeritageTalks programme. Our programme begins again on 7 February, and we've published the events right up until the end of July. 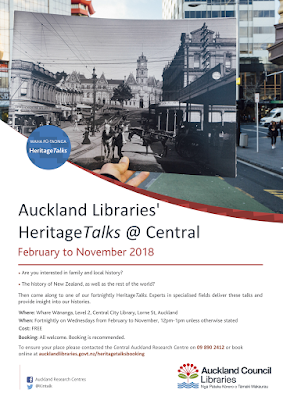 Usually held fortnightly during a Wednesday lunchtime (sometimes more frequent), HeritageTalks take place in Whare Wānanga, Level 2, Central City Library, unless otherwise stated. Booking is recommended. Ideal if you are interested in history - family, social and local history, New Zealand or world history. These talks are delivered by experts in their specialised fields and provide insight into our histories. Booking is optional, but recommended. The Whare holds up 80 people comfortably, but some talks have been known to overfill the room! 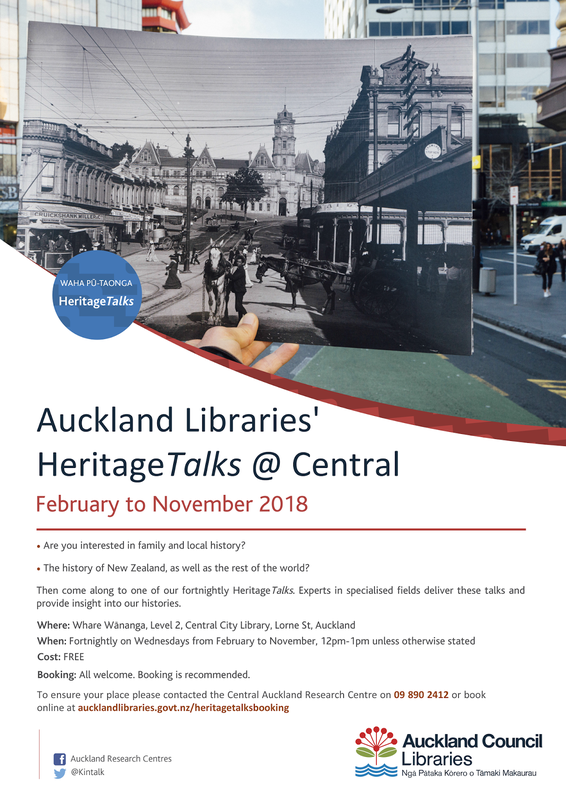 You can find talks in our HeritageTalks programme by searching our website using the keyword HeritageTalks - or by clicking the direct link here. Or if you want to download a PDF of our programme from February to July, you can do this here!